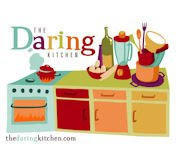 eat'n veg'n vegan food and recipes: Juicer Giveaway Contest! You all seem to be enjoying the juicer giveaways, so I decided to host one as well. On February 16 one lucky commenter will be drawn to receive a free Lexen Healthy Juicer. The Lexen Healthy Juicer is an amazing, easy, and effective wheatgrass and leafy green juicer, making it the most popular on the market. 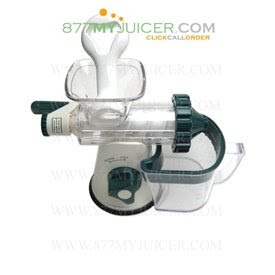 877MyJuicer.com will be supplying the juicer at no cost to the lucky winner. More detailed information about the juicer can be found here - Healthy Juicer. I want to get something out of this contest too. So to be eligible for the drawing, your comment must state whether you love, tolerate, or loath broccoli and also tell me your favorite way to eat it. Sorry, but the winner must be a resident of the US. Good luck! Food post with recipes on Tuesday. You KNOW I love broccoli! I'm definitely a broccoli addict. It's so good raw (or steamed or roasted!) dipped in this cashew cheese sauce! I like broccoli. It's not my favorite, but I like to eat it raw with other veggies on a hummus plate. I've loved broccoli for as long as I can remember. I used to think they were tiny trees and somewhere there was a tiny forest full of these tiny trees. I like it barely steamed with lemon and pepper. Or roasted with the same and the little leaves get brown and a little crunchy. Or raw. i love broccoli, i would probably love to juice broccoli if i had that awesome juicer:) my favorite way to eat it is probably roasted. i spray some olive oil (with my misto) on chopped broccoli florets, sprinkle it with kosher salt or if you prefer sea salt that is great too and roast it at 400 degrees in the oven until its as tender or crisp as you prefer it. its so simple but i love it! I absolutely adore broccoli! My favorite way to eat it is lightly steamed with a pinch of sea salt, mmmmm so good. I have a bit of a broccoli addiction! I LOVE me some broccoli! My favorite way to eat it is either Chinese style in brown sauce or garlic sauce, or sauted in garlic over linguine, more of an Italian style. I could eat it everyday! I love broccoli and the best wa yis raw. Cool, crunchy raw. Not boiled to a mush like my mom made. I have to say that broccoli is my favorite veggie. I pretty much love it anyway I can get it, but lightly steamed and then sprinkled with nutritional yeast and salt is a daily meal for me. I think my next favorite way is in some kind of Asian stir fry. Delish! I love broccoli! It always seems a little tough when raw, though I sometimes eat small amounts this way. I prefer to lightly steam entire crowns, with the tougher stems down in the water so they soften a little faster. Once the green color intensifies plate it drizzled with a little olive oil, sea salt, and a few drops of lemon juice. I've been known to finish off multiple large crowns of broccoli prepared this way. I love broccoli! My favorite way to eat it is plain steamed. If I am feeling like some flavor, I used some island soyyaki sauce from Trader Joe's. I love it and love it the most mixed with a salad with a lemon-tahini dressing! I love broccoli, and prefer it steamed. I adore broccoli which is unusual considering that it really has an odd odor when it cooks! I like to lightly steam it then saute it in lots of olive oil and minced garlic, then serve it with gluten free brown rice pasta (Tinkyada is my fave). Finally, I sprinkle the whole dish with kosher salt and freshly ground black pepper. It is delicious! Gonna make me some toniht! broccoli is actually my favorite green vegetable, well, except for asparagus and Brussels sprouts! i like them plain, maybe a little bit of salt or garlic, sauteed...or steamed...very simple. i only like the tender tops though...i don't enjoy the stalks at all. I love broccoli, especially covered in nooch cheese sauce or alfredo made with Mimicreme. Oh my, I've been wanting a juicer! It's destiny. Broccoli? I actually love it and always have. My favorite way is just blanched or roasted with olive oil, lemon juice, and parmesan. Shut the front door. SOOO good. I love broccoli cooked with rice they just go together so well. I like broccoli. SOmetimes steamed with a little pat of butter. But I like it raw with some sort of dip. YUMMO! Hi - I LOVE broc! Just with Earth Balance and salt and pepper. It is my fav veggie! I definitely love broccoli (though don't eat it as much as I'd like). My favorite way to eat it is just plain steamed. Not to the point it's mushy, just perfectly done! I LOVE broccoli. My favorite ways to eat it are steamed with a little salt and pepper, and in stir fry, with tofu, rice and peanut sauce. Yum! I guess I tolerate broccoli, the flowers anyway. The best part is the peeled stem sliced and served raw. Very tender and sweet. I love broccoli so much! My favorite way to eat it is lightly sauteed with garlic and finally cooked with a little veg broth and white wine. I add pasta to the mix sometimes, but dipping nice Italian bread in it is wonderful too. LOVE IT. Favorite way is any way! Broccoli is one of my favorite foods! I can't say which way I like it best ... as I haven't met a plate of broccoli I haven't liked (unless it was overcooked), but because I am often lazy, I eat it most often steamed with a couple pinches of salt over top. I love broccoli! One of my favorite breakfasts is steamed broccoli sprinkled with garlic powder and Braggs aminos piled high on toasted French Meadow Spelt or Kamut bread spread with a thin layer of organic peanut or almond butter. It's a recipe from Table for Two by Joanne Stepaniak. I love broccoli, especially when it's in a stir fry with homemade marinade - a bit spicy, not too sweet! I love broccoli just about any way! My two favorite ways are roasted in the oven with olive oil, salt and pepper (until the broccoli gets really roasted and bit crunchy) and broccoli pasta. For the pasta, I saute broccoli florets with olive oil and a ton of garlic and put it over rigatoni or penne pasta! I LOVE broccoli, and I have so many favorite ways to prepare it. Roasted is great, in curry or stir-fries, or just cut up and dipped in hummus. It's all good. Thanks for the giveaway! Another give-away, what fun! I adore broccoli. In fact, as a kid, it was my favorite veggie. I'm not sure if it still is, but it's top of the list. I'm a big fan of chinese stir-fry recipes with broccoli, so I think that's my favorite way to eat it. I have actually spoken the phrase "you can never have too much broccoli," and I'm sure I'm in good company here. Right now we have at least 3 bags in the freezer. I love to defrost some and put a little hummus or Miso Mayo over it. My goodness! So many juicer giveaways! What fun. I love brocolli. Of course. I guess my favorite way to eat it is just plain, steamed. I like it pretty much every way, but I usually end up steaming it because it's quick and easy. Also, my cat yummers LOVES brocolli and stands between us, meowing like crazy for a bite. Sometimes he even tries to swat the piece off our forks as we are about to eat it! I don't love or hate broccoli, but I do like it. I just don't crave it often. So, does that mean I tolerate it? My favorite way to eat it is steamed, then stir-fried with some almonds, lemon juice, crushed red peppers and garlic. Yum. Broccoli is best eaten raw straight from the garden. I don't even bother taking it in and washing it, It's best with that earthy flavor and still warm from the sun.... mmmmm.... is there anything better? Broccoli is one of the vegetables I buy most often. I like to use it in stir frys, steamed on it's own, in broccoli pesto (your recipe by the way! ), broccoli salad and in quiche! I know I'm missing other ways but I can't think of them right now. Broccoli.. I love eating broccoli because they look like little trees and I feel like a giant when I devour them. I eat them streamed with a little salt and pepper, a squirt of olive oil and lemon juice or in a veggie mac and "cheeze" (it's a perfect accompaniment to cashew cheeze)or completely raw when especially fresh like from a farmers market since i do not have my own garden :-( ... yet!! I feel the broccoli love! I like it every way, as long as it stays crisp. One of my favorites is panfried with just a dash of tamari. Yum! I LOVE broccoli and I just started making the absolutely delicious Sicilian-style broccoli from The Mediterranean Vegan Kitchen - steamed with capers and crushed red pepper. Yum! And over-steamed broccoli is a travesty. It must be steamed perfectly! I *love* broccoli! I am eating some as I write this, actually :o) My fav way to eat it? Steamed. Simple, but oh so good! broccoli is the one and ONLY vegetable i have always loved my entire life. i was so NOT into veggies when i went vegetarian my mom was incredibly worried i was going to starve. now i love them all except mushrooms, asparagus and bell peppers--ew! but broccoli is still one of my top 5. i love to eat it in anything. i know that's cheating but short of baked goods i can't think of too many dishes that can't be improved with the addition of broccoli! I LOVE broccoli! My favorite way to eat it is in stir fry with a garlicky/gingery peanut sauce over brown rice... yum! I like broccoli steamed and lightly salted. I don't like it raw, sadly. I don't know that I have a favorite way. Raw, steamed, with mac & nooch sauce, in a stir fry, with peanut sauce, the veg is awesome! I really like cooked broccoli (steamed) versus raw (b/c raw is just too hearty). Lately I've been cooking up broccoli every week, and although I enjoy it as is, my two favorite ways to have it: Your pumpkin vinaigrette and in a Thai dish, such as http://lksistersvegrecipes.blogspot.com/2008/02/thai-tofu-saute.html. Yum! So, I guess I love broccoli - such a great vegetable! I love broccoli cooked, but raw it is ok. The bright green color it gets when it is steamed just right is gorgeous and inviting. I love it in Asian/Thai dishes - some spicy, garlicy sauce. Maybe a "peanut" type sauce too. I can't forget about your delicious pumpkin vinaigrette! Cheers to broccoli and vegetables! I love broccoli, I usually go bring some raw florets along with my lunch. Although steamed with ginger glazed chicken is always a good pairing too. I love broccoli, sauteed with garlic and olive oil. Or lightly steamed with a little lemon juice. Ahhhh, broccoli! I love to steam it then squeeze lemon on it and begin to devour! I looooove broccoli blanched, then used as a dipper for hummus! I like non-wilty broccoli, so my favorite simple preparation is parboiled (so it still has a crunch), then tossed with pecans or walnuts sweetened with a touch of maple syrup. Delicious! I love broccoli! I prefer it to be slightly cooked, but still crunchy, in stir fries or simply with brown rice and a tahini dressing. I would ride my bike to the ends of the earth for the last bunch of broccoli if I had to. I would!!!! You are a to kind to host such a fun contest!!!! Thanks! Ooops, I forgot to mention that my favorite way to eat it is with tahini sauce, tofu and brown rice. Love broccoli! Favorite way to eat it is seared at high heat on cast iron with lemon, coarse black pepper and sea salt. Lots of lemon. My kitties like raw broccoli stalk chopped into small dice. grrr! i LOVE broccoli bc it is so cute! they all look like mini trees, which makes them really fun to eat! Oooh, I love me some broccoli! You know, my favorite way to eat it is the most boring. Steamed with a sprinkle of soy sauce and Spike seasoning. I quite like broccoli. I prefer it steamed with a nice sauce. I don't mind it raw, but sometimes I find the texture off putting. Oh dear, I love broccoli so much. Too much, actually. Haha. I love to steam my broccoli and then saute it with garlic. YUM. My favorite way to eat broccoli is in the Peanut Butter Pasta recipe from Garden of Vegan. YUM! I love broccoli! My new favorite way to eat it is with udon noodles & spicy peanut sauce. Mmm. I love love love broccoli. I love it with peanut sauce and noodles. I have lately become particularly fond of the stems too! i LOVE broccoli! especially in chinese stir-frys DRENCHED in sauce! i'm a huge broccoli fan. i eat it raw with hummus, and cooked with a squeeze of lemon juice and a little cracked pepper on top. Well, since I named my blog Broccoli Makes Me Happy, it is probably pretty apparent that I LOVE broccoli. My favorite is stir-fried quickly with garlic and vegetable broth. And it really does make me happy. If I'm feeling a little blue or just low on energy, it is the perfect cure. First, your blog totally whets my appetite. YUM. My favorite way to eat broccoli (a way I don't indulge in very often) is TEMPURA! Also love broccoli soup, raw broccoli, simple steamed broccoli with lemon, broccoli inside vegie lasagna and on top of pizza. Interestingly, Marilyn Diamond of Fit For Life has a method for peeling and slicing the thick stalks (without florets) of broccoli (the part that usually get tossed away!) and lightly sauteing them in sesame oil and garlic, then tossing with tamari and lemon. It is so addictive. love broccoli! love it so much that my favorite way to eat it is simply steamed with a sprinking of salt. I LOVE broccoli. Hard to say my favorite way, I love it steamed, sauteed, raw, etc. I think it is probably best steamed and drizzled with a bit of garlic infused olive oil, mmmmm. This juicer would be a great bday present for my birthday on Tues! I love broccoli--particularly in quinoa stir fries. I love broccoli- but I just figured out that my stomach does not! I love it in coconut curry sauce with pineapple and udon noodles. Oh man. I guess I tolerate broccoli. It's ok, if I happen to eat it I prefer it roasted in the oven with salt. I love steamed broccoli with a bit of lemon juice and pepper. I am a broccoli lover and enjoy it any way I can get it! A favorite dinner here consists of lightly cooked broccoli along with chick peas sauteed in olive oil with plenty of garlic, salt and a bit of red peeper flakes tossed together with whole wheat linguini. This makes for a very yummy, quick and cheap dinner! Steamed broccoli is a 5 on a scale of 1 to 10 for me. However, baked into a cheezy rice casserole, it suddenly becomes a 10! Mmm, broccoli... esp in a yummy veggie stir fry! I LOVE broccoli. My favorite way to eat it is steamed with nutritional yeast and chopped walnuts sprinkled on top. mmm. Broccoli is a favorite standby veggies. It's like meat and potatoes I guess. I love broccoli roasted with olive oil and garlic. I am also a fan of homemade vegan broccoli soup.